Jeju to change the name of Biojian Street, Jeju’s little China amid a drastic drop in the number of Chinese visitorsLocal officials decided to ask the public to rename the street. The Jeju government is searching for a new name to replace what has been known as Baojian Street for the last several years, in the wakes of the drastically declining number of Chinese visitors to the island. The drastic drop in the number of Chinese tourists is largely attributed to escalating tension between Korea and China over the deployment of a THAAD anti-missile system on South Korea soil earlier this year. The number of foreign visitors who came to Jeju island plunged 82 percent on-year in August in response to the China’s retaliation against Korea's deployment of an advanced US missile shield. Baojian Street (바오젠거리) has been known as “Little China” on Jeju Island for the last several years. The street was renamed 6 years ago, after a large Chinese industrial company of the same name sent over 12,000 of its employees to the island on eight occasions in 2011 to reward its employees as part of an incentive tour program. The pedestrian-friendly street located in Yeondong, Shin Jeju has catered to Chinese tourists with Chinese restaurants, coffee shops, souvenir stores, duty-free shops, bars and a variety of culture and performance events. The decision by the Jeju government to rename one of the busiest streets on Jeju island came after the Chinese company for the last five years has been faced with criticism and controversy over its appropriateness, as well as accusations of commercialization. 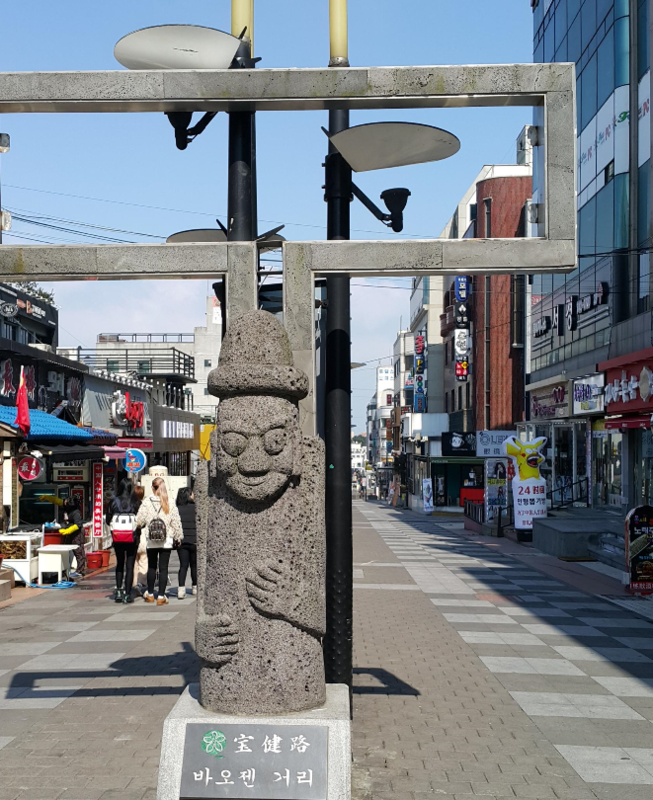 In addition, owners of the restaurants, shops and bars strongly called for Jeju government to rename the street, claiming that the sales have dropped by more than 70 percent, in part because of the name of the street. Meanwhile, the promised five years of naming the street Baojian Street have come to an end. Local officials decided to ask the public to rename the street. Submissions can be made by visiting a local community center located in Yeong neighborhood or sending an e-mail to 01062070700@korea.kr, or via fax 064-728-4997 before the end of October. Biojian Street is expected to have a new name from next year.